I hope you and your family had a wonderful holiday filled with good food, good times and good memories! My Christmas was upstaged by our new kitten, Scooter. 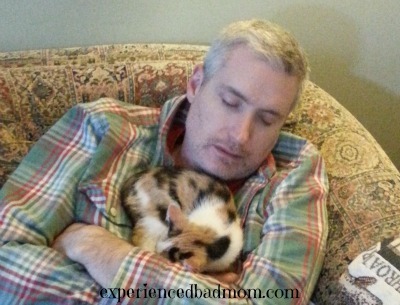 She stole our hearts, some zzz’s, and even a bed with her sweet antics. 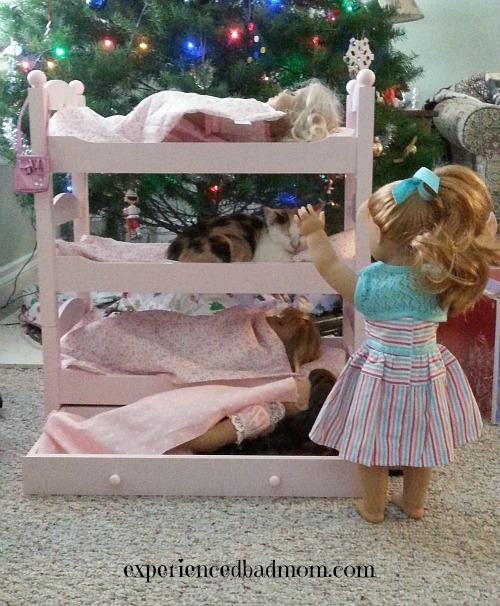 Some of you may be wondering if this particular American Girl bunk bed went over well with my daughter. You might recall that she originally wanted the official American Girl Bouquet Bed. When I mustered up enough courage (and enough money) to buy it, the darn bed was out of stock FOR-EVAH. Well…(drumroll)…my daughter loves her new bunk bed! She immediately commented how much better it was then the Bouquet Bed. Phew. Alleluia, praise the Lord. I meant to say it’s time to delve back into celebrating the last holiday of the season. Happy New Year! Alas, I’m terrible at this one. Last January, I decided I would make a Memory Jar like this one. I have *ONE* memory in there. I wrote down the trip my family took to the American Girl Place in Chicago in early January 2015. Then I forgot, got lazy, moved on, etc. Now you know why I never make resolutions. I know my limits! Do you have a Christmas update or any fabulous holiday memories to share? Do you make a Memory Jar? What are you doing for New Year’s Eve? Let me wish you a joyous, peaceful, and amazing 2016. Thanks, as always, for reading! You’re making me want a kitten with all of these adorable photos of Scooter! My 8 year old just said she needs that bunk bed 😉 Maybe for her birthday in March. But she did get an American Girl doll. We’re just hanging at home for NYE. We’re boring. Hanging out at home sounds lovely. As a bonus, that bunk bed was WAY cheaper than the official American Girl bed she originally wanted. It is pretty cute. It’s by Emily Rose ( I think) on Amazon. I tried so hard to watch my chocolate intake. At least I had great intentions. First glass of wine had me chowing down. Whoopsie. Grinned over your memory jar – yup that’d be me. And that bed? Stellar. She’ll always remember “that” Christmas when Santa brought the best gift ever. Happy New Year to you and yours, my American somehow related pal! Thank you Kelly! Does White Spot serve wine and chocolate? Happy New Year back at ya. That looks like some kind of ill-fated project I’d start out on! At least you have one memory – that’s not too bad! See? That’s why I like that you’ve started hanging around here. You’re a “Glass is half full” kinda gal! Yes, at least I had *one* memory! Bahahaha!!! Oh that is CLASSIC! We started a blessings jar a few years ago… yeah the intention was LOVELY, WONDERFUL, AWESOME!!! Mmm yes… Such a great idea. 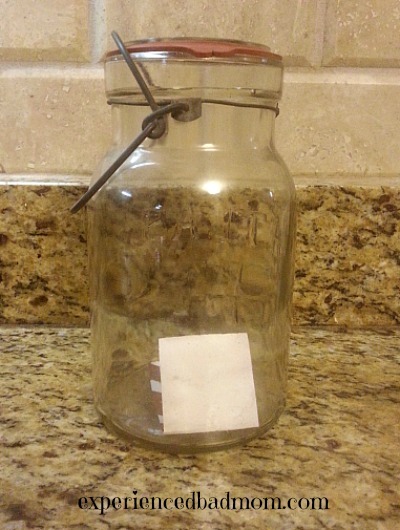 “Have no idea where that jar is…” – Bwa ha ha! My kinda gal! Have a blessed 2016 Chris!